What is Pack Wars Baseball? The concept is simple. 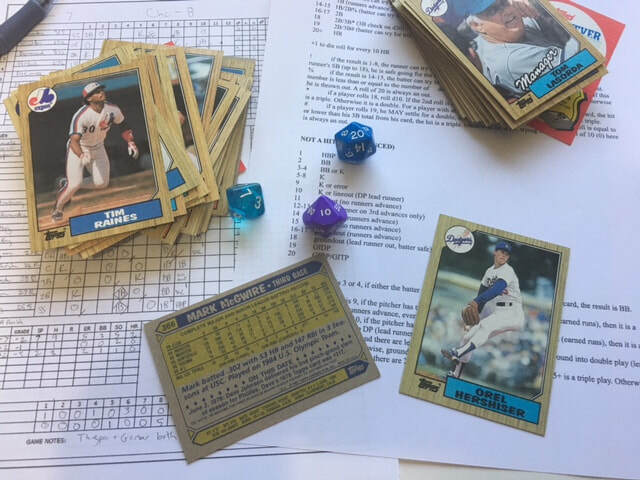 Get enough baseball cards to make 2 lineups, then play a quick and simplified fantasy dice/board game using only the stats on the cards. For one or more players.